Biopharma Process Systems (BPS) specialises in the supply of freeze drying technologies and related equipment. We provide the pharmaceutical, biotech and process industries with high quality, cost-effective solutions designed and built by some of the world’s leading manufacturers. BPS aims to satisfy your process needs by providing fit-for-purpose products specially selected for their application suitability. Drawing upon years of industry experience, BPS staff are able to help you choose the most appropriate equipment for a process solution that meets all of your requirements. With strong links to many key manufacturers, we can also provide ongoing support to ensure you get the most from your investment throughout its service life – this includes maintenance, validation and calibration. BPS experts are on hand whenever you need them, providing all the advice or assistance you might require. Those who do not wish to make a permanent investment can choose to use our on-site freeze drying services instead. We run a state-of-the-art laboratory where a range of product and process development projects take place on a regular basis. A selection of technologies made available by BPS can be found below. For the full range, please visit us online. If you would like any product or application advice, please do not hesitate to call. Benchtop “BTK” Freeze Dryers – A range of compact, easy-to-use, and highly versatile systems popular with universities and research laboratories. AdVantage Freeze Dryers – A series of benchtop designs with temperature-controllable shelves similar to those found in larger systems. Ideal for pilot or R&D laboratories. Freezemobile Freeze Dryers – Designed with flexibility and convenience in mind. Suitable for a range of applications. This category currently includes five different freeze dryer ranges suitable for a variety of research/scale-up applications. 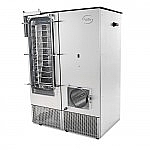 Genesis Freeze Dryers – Genesis dryers have an extensive range of options that allow them to be customised to meet specific application requirements. GP Dryers – A series of compact systems designed for whole specimens of foods, artefacts, documents, floral arrangements, etc. 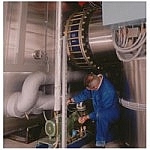 Ultra Freeze Dryers – A series of large capacity dryers based on the same design as the Genesis. Ideal for those involved in small-scale production or scale-up research. Lyostar Freeze Dryers – A high spec series of dryers offering superior shelf mapping, fast freezing, high reliability and ease of use. VirTual Freeze Dryers – Ideal for processes requiring high vapour loads, such as bulk processing or fast cycles. Visit BPS online to find out more. 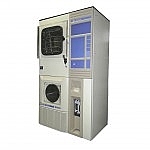 Ultra Freeze Dryers – These can be used for both scale-up research applications and small-scale production. 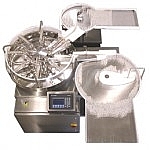 Pharma/Biotech Production Scale Freeze Dryers – This includes a range of high quality, technologically advanced freeze drying equipment for the production of pharmaceuticals and biotech products. General Purpose Freeze Dryers – A range of high quality, high performance systems from Cuddon, a leader in freeze drying technology. Designed to cover all manner of applications, including food processing, document recovery, medical products, and artefact preservation. BPS is more than just an equipment supplier. We can also maintain, calibrate, validate and upgrade freeze drying equipment to ensure it runs smoothly throughout its working life. And as experts in the field, you can always count on us for comprehensive technical support wherever it is required. We’re dedicated to helping you get the most from your investment, and ensure full customer care long after the delivery of a product. All services are carried out by expert technicians with a wealth of application experience and a comprehensive understanding of freeze drying technologies. The Nano deBEE – a laboratory unit capable of handling sample sizes as small as 20ml whilst still providing up to 45,000 psi of pressure. Ideal for product development applications in various industries. 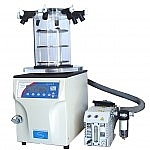 The Mini deBEE – a research homogeniser with PLC control and monitoring. 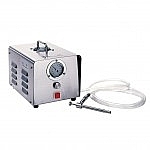 The Micro dBEE – a compact, air-operated unit designed for product formulation. Typical applications include particle size reduction, cell disruption, micro-encapsulating, grinding, dispersion, general blending and mixing. BPS supplies a range of manual, semi- and fully-automatic powder fillers from industry leader M&O Perry. 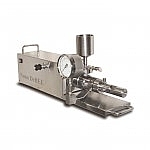 These utilise the ACCOFIL vacuum/pressure principle to weigh and dispense powders in a quick, repeatable manner, eliminating the need to hand-weigh powder before application. ACCOFIL compacts powder to achieve a constant density within the filling gun and dispenses it by application of pressure. By adjusting the filling chamber or changing the gun size, the amount of fill can be easily controlled to suit the intended application. A range of standard gun sizes are available to accommodate different varieties of powder and container sizes. Bio-Cool is a mechanically refrigerated bath for the programmed cooling or thawing of biological specimens prior to storage or use. Made by FTS Systems, the Bio-Cool bath circulates liquid to allow more efficient heat transfer to the samples and in order to maintain a more consistent temperature at all locations - this ensures a smoother, more uniform freezing process. BPS can supply a range of compact high and low throughput vial washers designed and developed by PennTech Machinery Corp. The “RW” Series, designed for parenteral applications, can process glass and plastic vials at an output rate of up to 24,000 vials per hour. A unique non-penetrating nozzle minimises the generation of particles through moving parts, and also reduces downtime caused by nozzle bending and glass damage caused by misfeeds or misalignment. If you've any questions about Biopharma Process Systems Ltd products or services feel free to ask them here.